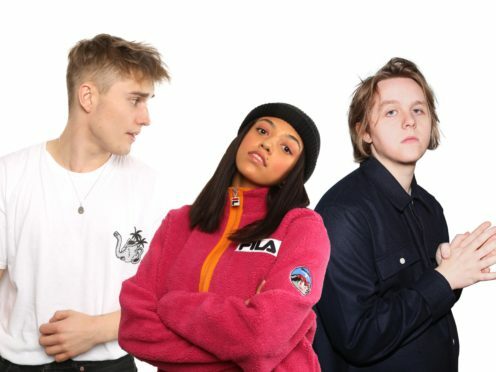 Newcastle-based Fender, 22, was on a shortlist alongside Scottish star Lewis Capaldi and R&B singer Mahalia. Fender, who writes about subjects of social and generational significance, has been on the road touring and recently released his debut EP, Dead Boys. He said: “I am truly humbled to win the Brits Critics’ Choice award. Being nominated was crazy enough, never mind winning it. I’m so grateful to everyone back home for believing and to my band and team for all their hard work. “We’ve played literally hundreds of shows this year, and we’re going to go even harder in 2019. Most importantly, a big shout to my fans. I’ve met a lot of you over the last few years and it’s truly an honour to get up and play night after night to such a wonderful bunch of people. Fender is the first winner of a 2019 Brit Award. Previous winners of the Critics Choice prize, which was first handed out in 2008, include Adele, Florence + The Machine, Emeli Sande, Sam Smith, Rag ‘n’ Bone Man, and last year’s winner Jorja Smith. According to organisers, Critics’ Choice award winners have sold more than 90 million albums worldwide. Jason Iley, Brits chairman and chief executive of Sony Music UK & Ireland, said Fender is an “exceptional young artist”. Voting for the Brit Awards 2019 is open and nominations will be revealed in January 2019. The Brits, to be broadcast live on ITV, will take place on February 20.